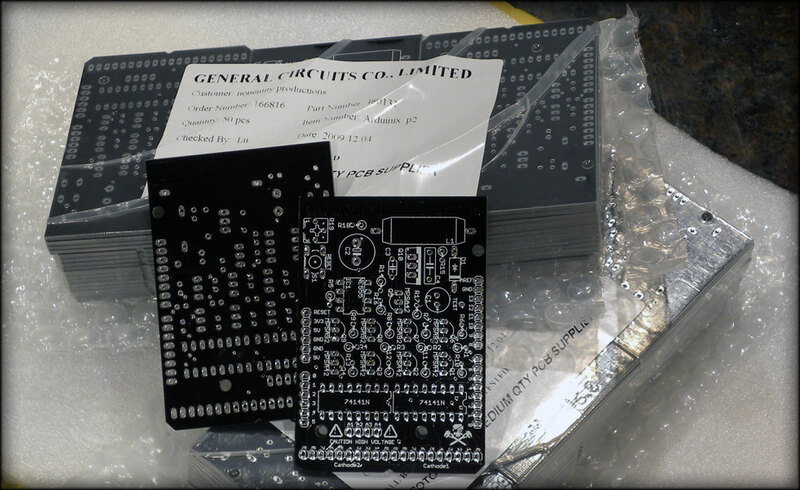 "Jolly Roger" Black Special Edition PCB! 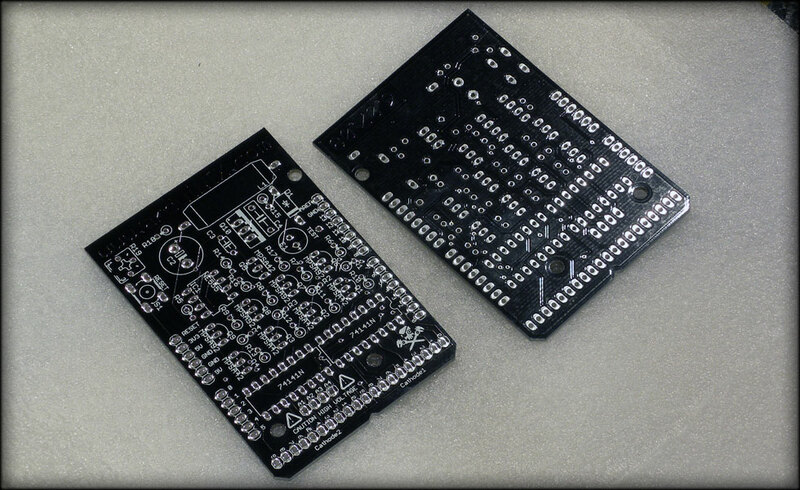 Robotpirate Forums | Projects | ArduiNIX | "Jolly Roger" Black Special Edition PCB! To commemorate our one year (and a month or so) anniversary of the first ArduiNIX sold, and our front page feature on MAKE website, we have just gotten in the new "Jolly Roger" black special edition ArduiNIX circuitboards! These boards have a special black soldermask. We have gone through almost 200 of the green ones, and when it came time to reorder, we chose black. The rest of the circuit layout remains unchanged, so get your irons out and get em hot, cause these boards look beautiful! Also, we're trying to track down some issues with our IN-17 display boards, once those are ready to roll, I'll make an announcement. Look for those in say, 5 weeks if all goes well.